Perrysburg, Ohio (May 13, 2015) - Owens-Illinois, Inc. (NYSE: OI) announced today that it has reached a definitive agreement with Vitro, S.A.B. de C.V. (BMV: VITROA), to acquire Vitro's food and beverage glass container business in an all-cash transaction valued at approximately $2.15 billion. Vitro is the largest supplier of glass containers in Mexico. The transaction, which has been approved by the boards of directors of both companies, is subject to approval by Vitro's shareholders and customary regulatory approvals. The deal is expected to close within 12 months. The transaction provides O-I with a competitive position in the attractive and growing glass segment of the packaging market in Mexico, further enhancing O-I's position as the world's foremost glass container producer. The agreement includes Vitro's five plants in Mexico and one in Bolivia, which together employ 4,700 people. The current leadership of Vitro's food and beverage glass container business will remain in place following the transaction close. The acquired business is expected to generate estimated annual revenue of $945 million and adjusted EBITDA of $278 million. Further, O-I expects to realize approximately $30 million in run-rate cost synergies by 2018 through a combination of procurement savings and operating efficiencies. The transaction is expected to be accretive to cash flow and earnings per share in the first year after closing. "We have long admired Vitro's business, and this transaction marks an important strategic step for O-I in that it allows us to establish a strong position in the attractive glass container segment in Mexico," said Al Stroucken, chairman and CEO of O-I. "Vitro's leading position, long-term customer relationships and proven record of innovation and new product development will enable us to capitalize on commercial opportunities in Mexico. In the third year after close, this compelling transaction is expected to add approximately $0.50 to our earnings per share and at least $100 million in free cash flow, positioning us to drive even greater value for shareholders." "O-I is a clear leader in the global glass container market and is the ideal partner for Vitro's food and beverage container business," said Adriàn Sada González, chairman of Vitro, S.A.B. de C.V. "We have a great deal in common with O-I and look forward to the expertise they bring to help meet the growing demands of our customers." 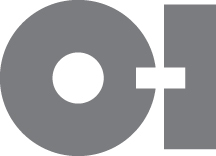 O-I has secured committed financing from Deutsche Bank to fund the transaction and expects to utilize the strong free cash flow of the combined business to reduce leverage following the transaction. Deutsche Bank Securities is serving as financial advisor to O-I on the transaction and Simpson Thacher & Bartlett LLP is serving as legal advisor. O-I CEO Al Stroucken, COO Andres Lopez and acting CFO John Haudrich will conduct a conference call to discuss the transaction on Wednesday, May 13, 2015, at 8:00 a.m., Eastern Time. A live webcast of the conference call, including presentation materials, will be available on the O-I website, www.o-i.com/investors, in the Presentations & Webcast section. The conference call also may be accessed by dialing 888-733-1701 (U.S. and Canada) or 706-634-4943 (international) by 7:50 a.m., Eastern Time, on May 13. Ask for the O-I conference call. A replay of the call will be available on the O-I website, www.o-i.com/investors, for a year following the call. This document contains "forward-looking" statements within the meaning of Section 21E of the Securities Exchange Act of 1934 and Section 27A of the Securities Act of 1933. Forward-looking statements reflect the Company's current expectations and projections about future events at the time, and thus involve uncertainty and risk. The words "believe," "expect," "anticipate," "will," "could," "would," "should," "may," "plan," "estimate," "intend," "predict," "potential," "continue," and the negatives of these words and other similar expressions generally identify forward-looking statements. It is possible the Company's future financial performance may differ from expectations due to a variety of factors including, but not limited to the following: (1) foreign currency fluctuations relative to the U.S. dollar, specifically the Euro, Brazilian real, Colombian peso and Australian dollar, (2) changes in capital availability or cost, including interest rate fluctuations and the ability of the Company to refinance debt at favorable terms, (3) the general political, economic and competitive conditions in markets and countries where the Company has operations, including uncertainties related to economic and social conditions, disruptions in capital markets, disruptions in the supply chain, competitive pricing pressures, inflation or deflation, and changes in tax rates and laws, (4) consumer preferences for alternative forms of packaging, (5) cost and availability of raw materials, labor, energy and transportation, (6) the Company's ability to manage its cost structure, including its success in implementing restructuring plans and achieving cost savings, (7) consolidation among competitors and customers, (8) the ability of the Company to acquire businesses and expand plants, integrate operations of acquired businesses, achieve expected synergies and achieve estimated financial results, (9) the ability of the Company to close acquisition transactions, (10) whether acquisition transactions will be approved by competition and other regulatory authorities, (11) whether acquisition transactions will be accretive to the Company's earnings and/or cash flow, (12) whether acquisition transactions will create shareholder value, (13) the Company's ability to deleverage following an acquisition and reach an expected leverage ratio (14) unanticipated expenditures with respect to environmental, safety and health laws, (15) the Company's ability to further develop its sales, marketing and product development capabilities, and (16) the timing and occurrence of events which are beyond the control of the Company, including any expropriation of the Company's operations, floods and other natural disasters, events related to asbestos-related claims, and the other risk factors discussed in the Company's Annual Report on Form 10-K for the year ended December 31, 2014 and any subsequently filed Annual Report on Form 10-K or Quarterly Report on Form 10-Q. It is not possible to foresee or identify all such factors. Any forward-looking statements in this document are based on certain assumptions and analyses made by the Company in light of its experience and perception of historical trends, current conditions, expected future developments, and other factors it believes are appropriate in the circumstances. Forward-looking statements are not a guarantee of future performance and actual results or developments may differ materially from expectations. While the Company continually reviews trends and uncertainties affecting the Company's results of operations and financial condition, the Company does not assume any obligation to update or supplement any particular forward-looking statements contained in this document. Revenue and adjusted EBITDA estimates are based on 3/31/15 (last 12 months) plus an estimate of full year 2016 new business signed in 2014.